My kids are both builders. Like their parents, they're scavengers and collectors. 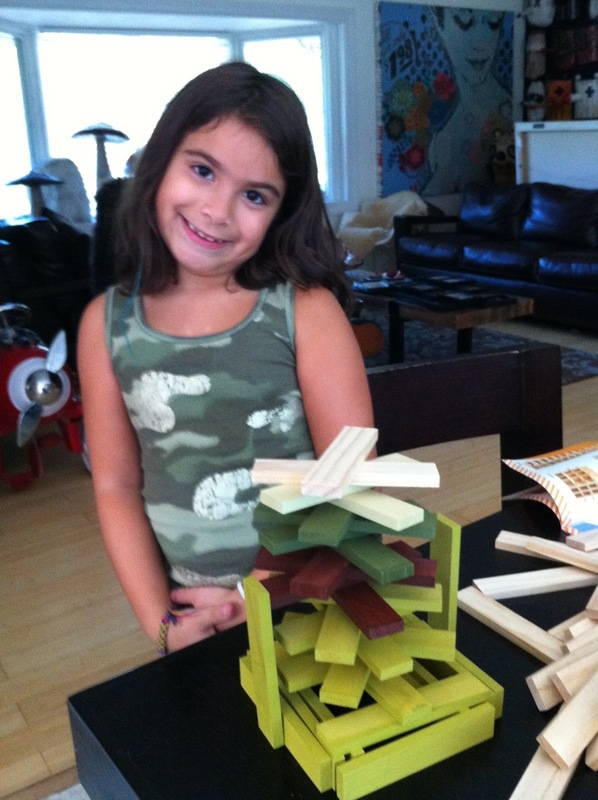 Thankfully, they take after their dad and actually manage to put all those bits and pieces of ephemera to use, making cool stuff. They are both very adept at storytelling and I love to watch them make up plots for their creations to act out. The fact that most toys nowadays are character or show branded really depresses me because it hampers their play, limiting them to what's supposed to happen. 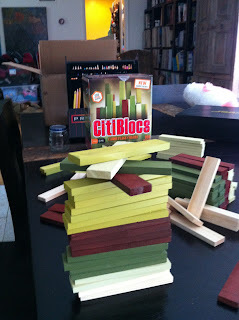 CitiBlocs are a refreshingly simple toy concept that Roo and Jasper both love: unit blocks of uniform shape and size that can be mixed together in infinite ways to create innumerable projects. Each non-toxic block is precisely cut from Grade A Radiata Pine from certified renewable forests in New Zealand, making them an environmentally-friendly toy option, too. 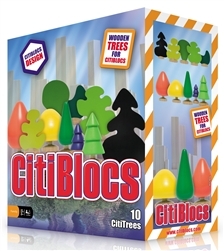 The CitiBlocs Camouflage 100 Piece Set is a great kit to start with, featuring twenty blocks in each of four colors: green, olive, brown, khaki and natural wood. I like the all-natural colored sets, too, but Roo and Jasper gravitated toward the colors, using them to create patterns and boundaries. 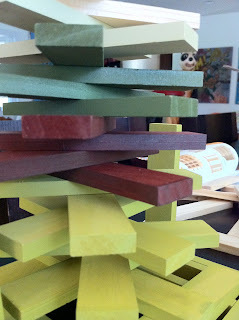 I'm also crazy about the CitiBlocs 100 pc Glow in the Dark set, which features the same sustainable wooden blocks decorated with safe, non-toxic glow paint. Perfect for Halloween! In accordance to the FTC Guidelines and the WOMMA Code of Ethics, I am disclosing that we received the CitiBlocs set pictured in order to facilitate this review. All opinions are, as usual, strictly my own. 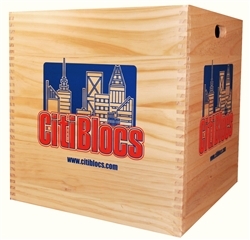 Find out more about CitiBlocs on Twitter and Facebook. I've been eyeing a set of these for S for Christmas. The tree set looks cute, in addition to the plain ones. I have some right now and I've been playing with them. They really are pretty cool! 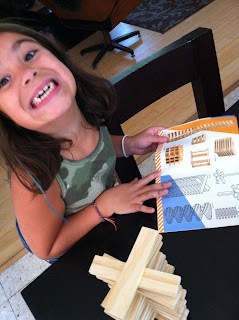 Love what she did with them!